Nächstes Jahr findet der Blood Bowl World Cup in Dornbirn statt. Hüpfis World ist noch auf der Suche nach einem Team. Ich möchte auf jeden Fall hinfahren! Ein paar Infos dazu und die Anmeldedeadline kommt schneller als man denkt!!! One ticket includes 9 games of Blood Bowl for a single coach or an entire squad. 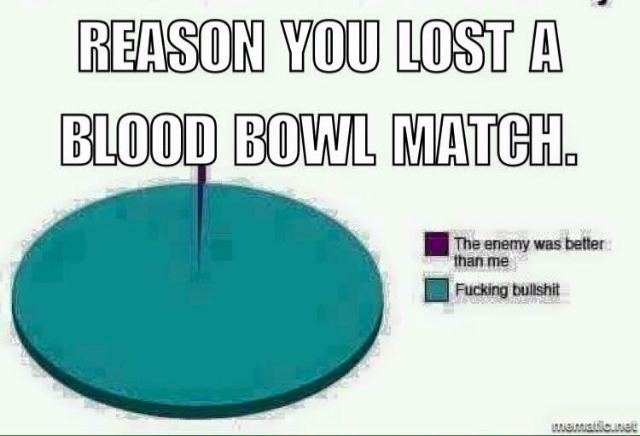 If a squad contains 7 coaches a coach is guaranteed at least 3 games of Blood Bowl. A ticket also includes 1 meal during each lunch break (3 meals in total), 1 commemorative coin, a full set of 6 dice, skill rings for all players on the roster, free entrance to the reception on Thursday and free shuttle service to Hotels in Dornbirn, Bregenz and Hard. Hint: Coaches, who do not have their permanent residence in the European Union can reclaim the 20% VAT at the airport/border when they leave the EU. The Early Bird price is valid if the payment is received on or before December 31, 2018. Single Players receive a 5% discount if they buy a full package, which includes Ticket, Pitch, Miniature Team and a set of Coaching Staff. Squads receive a 5% discount if the entire squad buys at least 4 full packages, which include 6 or 7 Tickets, 4 Pitches, 4 Miniature Teams and 4 sets of Coaching Staff. A squad will receive a 10% discount if all of the squad members buy a full package.